Franz Gall was no crank. We laugh at him now because his conclusions were found to be incorrect. But his method was founded in science, and he did much research to further anthropological and biological understanding of our species. His 1819 book had a long title and a captivating idea. The title was The Anatomy and Physiology of the Nervous System in General, and of the Brain in Particular, with Observations upon the possibility of ascertaining the several intellectual and Moral Dispositions of Man and Animal, by configuration of their Heads. The idea? That we can tell a person’s personality and intelligence by the bumps on his head. Thus Cranioscopy, or Phrenology as it was later known, was born. It is clear in retrospect that his science wasn’t quite as rigid as one would hope. The notion that the size of a given mental organ indicates its strength was never scientifically proven. Nor was the concept that bumps in the skull could reveal the size of brain regions within. And these were central to the theory behind Phrenology. As such, the science has been widely discredited. Vocal moderns have also indicted Phrenology due to its use as a scientific justification for racism. In England, ruling classes were keen to point out the differences between their own skulls and those of their colonial subjects. It later became the bedrock for scientific race discrimination in the United States and a key defense of slavery. We look back on the Phrenology craze with some amusement and some pity. It is a shame, we think, that such a backward, inexact practice could pass as scientific and that so many otherwise intelligent people could fall for such a trap. Considering how dangerous it was, the thought is as maddening as it is puzzling. Certainly we would never fall for such a swindle these days. We are far too advanced and sophisticated to let bad science convince us and dictate our thoughts and actions, both public and private. Or are we? In Psychonomics, I have tried to show that things aren’t as easy as that. The allure of bad science lives well today, and there is no switch to flip that allows us to start seeing things as they are and cease being misled by fallacy and folly. We spend a great deal of effort persuading ourselves that we are above such fancies as Phrenology, but the fact is that we are just as prone to confusion and mistake as the 19th century followers of Franz Gall. We pride ourselves on the way in which we base so many of our thoughts and actions on science, and we think that, because we spend so much energy and effort on facts, figures, and statistics, we have reached a new level of enlightenment and are no longer vulnerable to the appeal of the vague and the bunk. And yet, that very condition is exactly why we are vulnerable. Because we base so much of our thoughts and actions on science, we blindly follow when we should be skeptical; because we focus so much on the facts, figures, and statistics, we are distracted by the numbers and lose sight of the reality before us. Behavioral Economics shows us how this can happen in the modern setting. The field is overflowing with mesmerizing experiments, mind-boggling data, and confounding conclusions—what curious bystander can help but be taken in by the scientific grandeur? We find that its very appeal is what opens the door to its failures. The researchers build up abstractions so complex and convoluted that they are practically impossible to unwind. We get lost in a maze of logic and illogic so that, when we finally arrive at the conclusion, clean and simple as it always is, we have no choice but to accept it. It doesn’t matter that the conclusion reached defies common sense and condemns human rationality—the experiments prove it, just look! When we hear a story like that of Franz Gall and Phrenology, we indulge our conceit to think that they were much different then than we are now. We laugh at how immature they were and pride ourselves on our advanced objectivity. The truth is, Gall and Phrenology were more legitimate than we like to believe; and today, we are more misguided than is comfortable to admit. In his founding of Phrenology, Gall contributed several key insights to both neuroanatomy and psychology that survive to this day. It is shortsighted to forget that he settled, once and for all it would seem, the question of whether or not the brain was the seat of the mind. Prior to Gall’s work, there was great debate over where the mind was located, and a strong contingent, reaching as far back as Ancient Egypt, held that it in was the heart. Gall also established the principle of brain function localization. Everyone recognizes the antique diagrams of a man’s profile and his head dissected into compartments labeled for their function. After this approach became a sensation throughout the 1800s, it lost favor in the early 20th century, only to return again as the dominant stance on brain function. Today, the brain-mapping endeavor seeks to do with computers what Gall did with pen and ink. And yet, despite the advances achieved by the bizarre practice, we shun the entire enterprise because it failed on other levels. Since it was a part of something notably unscientific and patently abhorrent—slavery—we believe that the whole thing was unscientific and thus abhorrent. By contrast, we view a new science like Behavioral Economics with unbridled reverence. We watch with wide eyes and dropped jaws as researchers demonstrate our own faulty decision-making and predictable irrationality. We don’t question it when the studies prove that we are incapable of sound judgment and thus require heavy doses of government regulation to save us from ourselves. The experiments, the brain scans, the statistics, are all too mesmerizing to refuse. And yet, as we have seen, Behavioral Economics is, like all modern sciences, a great abstraction. By taking human behavior and breaking it down into abstract functions like choices in a hypothetical, keystrokes in a computer simulation, or decisions stripped of context, researchers reduce a rich, complex phenomenon to its spare outline. To be sure, this allows us to view human behavior in a new light, and offers us insight into our thought processes and actions. But still, it must be admitted that the process renders an abstraction as far from reality as the GDP is distorted from the economy or ‘g’ is distorted from a person’s mental abilities. When we analyze the abstractions and arrive at the conclusion that we are liable to cognitive errors and biases, we are guilty of reifying the abstraction just as Franz Gall did with Phrenology. As a matter of scientific fidelity, it can be said that Behavioral Economics is no more sophisticated than its 19th century precursor. Certainly, the goal in this book is not to diminish today’s efforts and laud those of the past. All can agree that we have advanced tremendously as a result of much hard work and innovation and cannot justify going backward in the least. But with our advances has come a blind credence that has allowed the sciences to grow ever sloppier and more imprecise. We absorb all manner of scientific research even when it isn’t rigorous or reproducible. We accept it because it’s scientific and thus surrender its scientific legitimacy. With Psychonomics, I hope I have shown that all science is valuable only when it is viewed with staid skepticism. 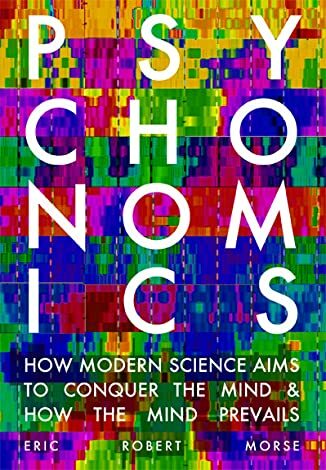 And, in so doing, I hope that I have done what few science writers have done in the latest fervor over Psychology: helped to return the sciences to their rightful place as the greatest tool for analyzing and understanding the natural world we have available. Upon reflection, the ambitious reader might arrive at the author’s own resolution: Our challenge in this age of science is not to achieve the next great breakthrough or figure out a way to support science more—that will come naturally as the result of man’s innate desire to wonder and the irrefutable inertia of the disciplines. Rather, our challenge is to prevent our excitement for science from leading us blindly down the path of error or, what’s worse, oblivion. It is a formidable challenge without question. The optimist is confident that we will succeed as long as we can achieve two things: promote science, and do so without giving up our own ability and intent to think and reason. This entry was posted in Behavioral Economics, Free Market, Good Reads, Influences, Inspiration, Psychology, Rational Choice Theory, Resources, Sociology, Solutions, Technology. Bookmark the permalink.